Tonight is the Opening Reception for the Society of Illustrators Original Art Exhibit and we are proud to announce that two of our illustrators, Beth Lo and R. Gregory Christie, will have art from their Spring 2012 titles on display in the show. 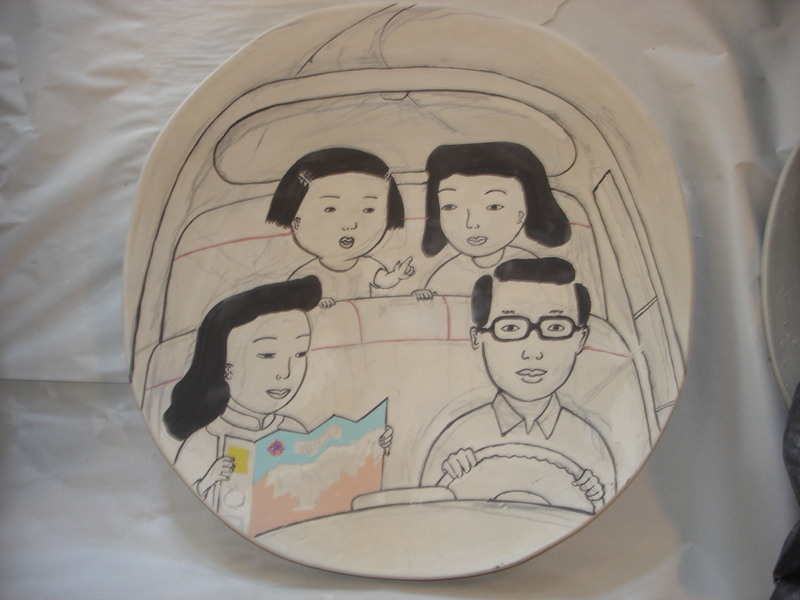 Below, Beth Lo shares a few shots of how her unique illustrations from Auntie Yang’s Great Soybean Picnic came to life, from a simple sketch to a ceramic plate. Beth started with a black and white sketch and then formed the plates. She put a “hump” mold or an inverse shape of the plate on a potters wheel. It was then dried and “bisque” fired to 1850°F, forming a porous mold. To make each plate, she rolled out a slab of porcelain clay about 1/2″ thick over the mold and cut around it to make the edge. 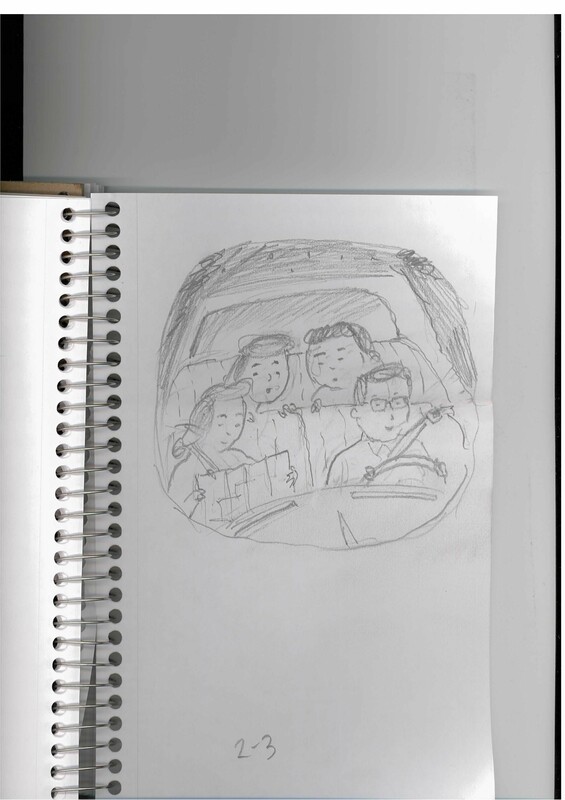 After being shaped into a squared form and slowly dried to avoid warping or cracking, Beth drew a pencil sketch of the the original image. Then the drawing was painted with black underglaze. The colored underglazes were then painted on and each plate fired in an electric kiln at 1850°F to set the underglaze and burn the pencil off. The illustrations from Auntie Yang’s Great Soybean Picnic were photographed during this state. Finally, a light coat of glaze was sprayed on and the pieces fired again to form a glossy surface. 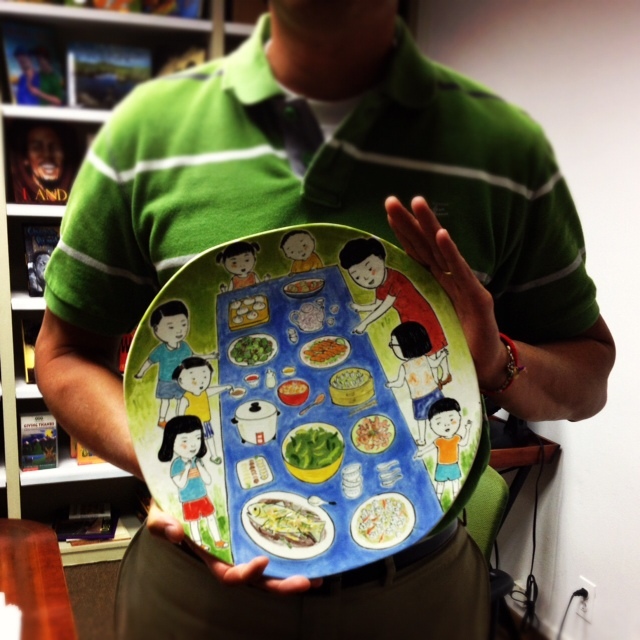 And so, an illustrated plate is made! 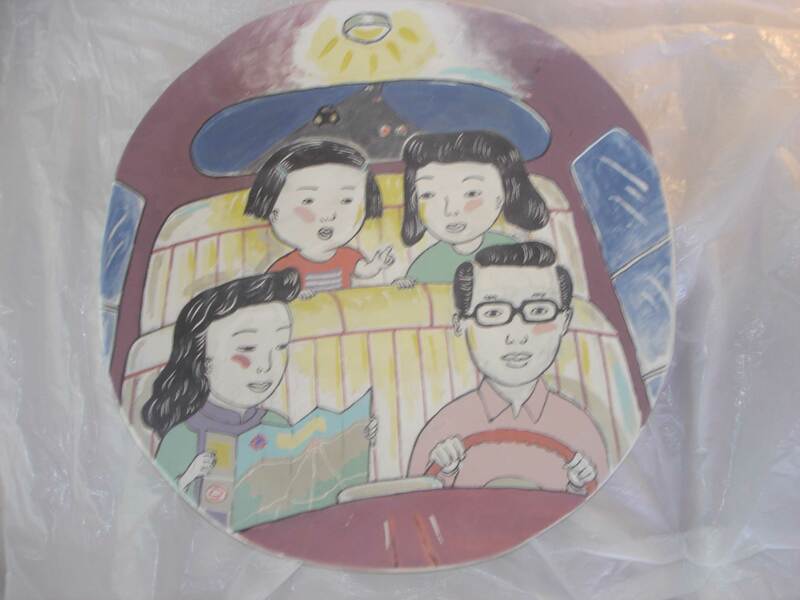 If you happen to be in New York City, go check out Beth’s ceramic plate from Auntie Yang’s Great Soybean Picnic and R. Gregory Christie’s art from It Jes’ Happened, as well as the other wonderful pieces in this year’s Original Art Exhibit. The display will at the Museum of American Illustration at the Society of Illustrators through December 22nd.